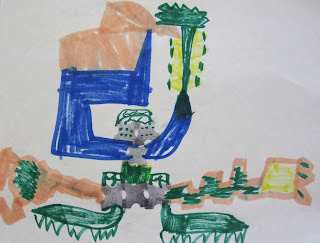 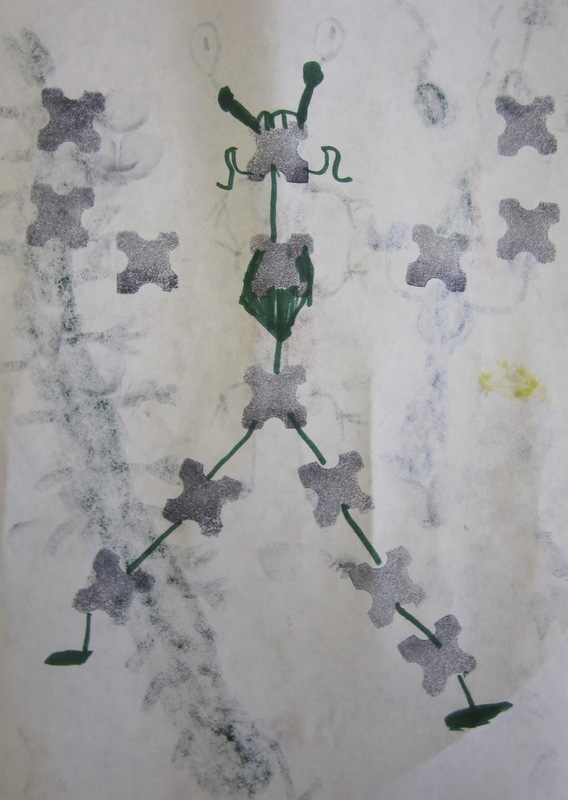 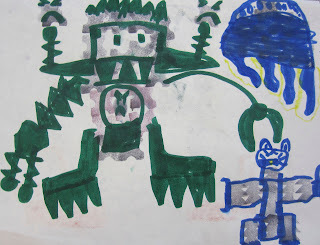 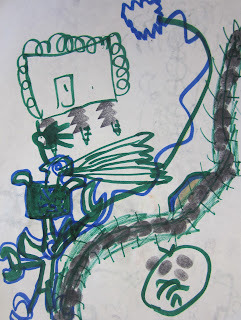 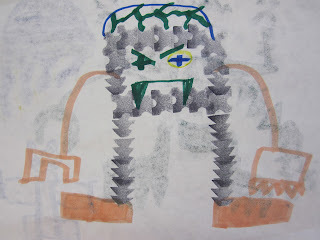 Under the leadership of one first grade student, three boys create a series of thumbprint and stamp drawings. The subject is, of course, aliens. 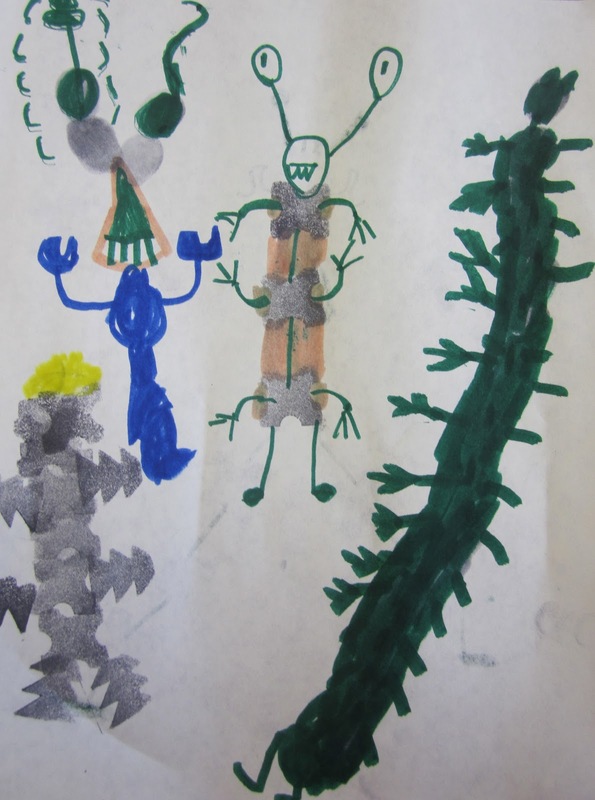 The variety of forms invented by these young artists is marvelous. 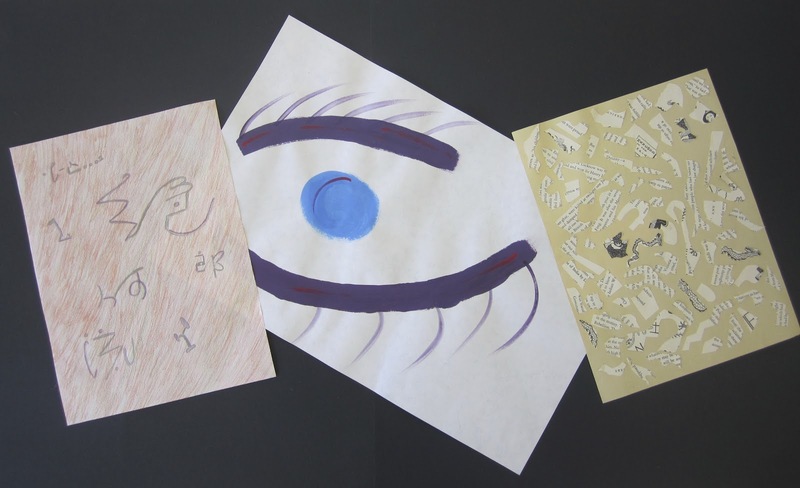 This is another small series by a 5th grade students who got her inspiration from Japanese writing she found in a book. She responded be creating works with her own made up symbols. She also requested that the three works be displayed together since she saw such an important correlation between all of them.